Coffee lovers, unite! 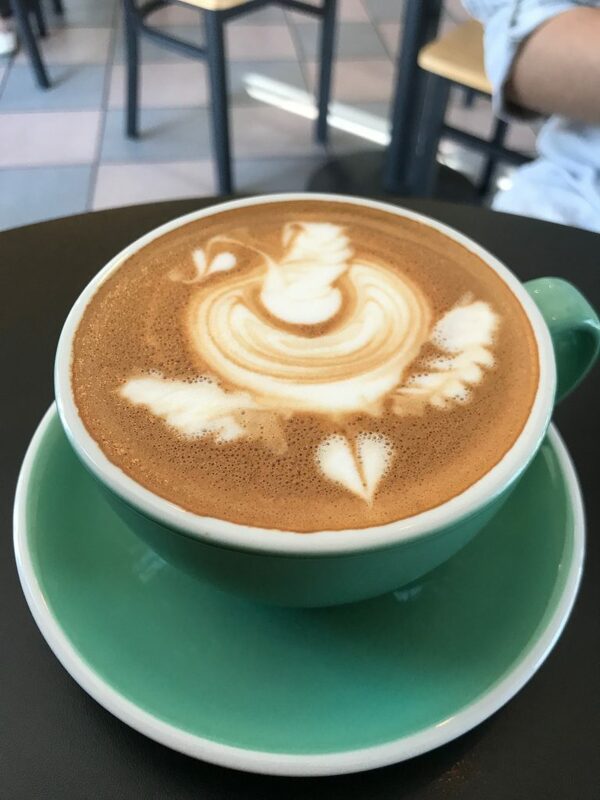 The Fullerton area is filled to the brim with great coffee shops, and we’re spilling the beans on which ones are our favorites. No, I’m not talking about the Starbucks in Mihaylo. These coffee shops serve up more than just your regular cup of Joe. 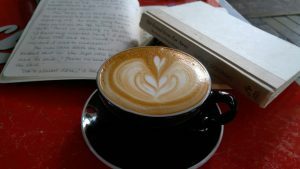 They offer latte art, decadent pastries, and a comfortable place to sit and get some work done. Plan your caffeine schedule accordingly, because you’ll want to visit all six of these coffee shops near Cal State Fullerton before the end of the week. If you watch the television show “The Profit,” you might have heard of this place before. Bodhi Leaf’s original location is in Orange, but this incredibly popular café opened up another shop in Placentia last year. And it is only a few streets away from campus! 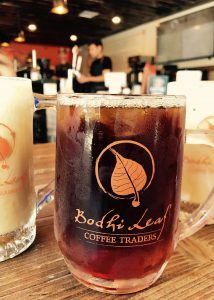 At Bodhi Leaf, you can enjoy high-quality specialty coffee at a reasonable price. They pride themselves on providing a farm-to-cup experience, roasting the coffee beans daily at their warehouse in Orange. Customers love the rustic décor and warm atmosphere, but not as much as they love the drinks. Pour-overs are a popular choice at Bodhi, especially among the more distinguished coffee drinkers. It is a cleaner, more refined cup of coffee than you would get at your usual chain. And for those who prefer espresso drinks, the lattes are strong in flavor, and not too sweet. Go here for: the pour-overs. 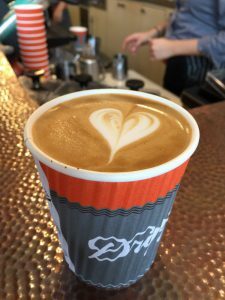 This coffee shop is one of the newest members to join the Downtown Fullerton community, and it is certainly on its way to becoming a local favorite. Pilgrim’s Coffee House has everything you need to have a productive day – plenty of tables, comfortable seating, delicious coffee drinks and freshly made sandwiches. Outlets are conveniently located near all tables and seats, so there are no excuses for not getting your work done! Go here for: a study session. Photo by Kathleen L. on Yelp. Also located in Downtown Fullerton, Dripp is a longtime favorite of the college students in the area. It’s a cool, trendy coffee shop on the corner of Harbor and Chapman with both indoor and outdoor seating. Some of their most popular menu items are the Spanish latte and the Turkish coffee, but you can’t go wrong with any of their pour-overs or espresso beverages. The ample seating both indoors and outdoors makes Dripp a great place to hang out. Some Yelpers report that the Wi-Fi at Dripp is unreliable, so it may not be possible to get work done if you need internet access. Go here for: the coffee and lattes. Photo by Jennifer W. on Yelp. For an escape from the hustle-and-bustle of campus life, head over to Veronese Gallery Café. This spot is unlike other coffee shops because of its unique and artistic atmosphere – not to mention, it operates out of a house! The Veronese Gallery Café is popular for its calm and cozy environment, and also features an art gallery. Customers come here to enjoy the coffee, desserts and pastries, but they stay because it feels like home. Go here for: the comfortable vibe and the art gallery. And the dessert! Featuring a chill, laid-back environment and comfortable seats, International Coffee House might just be your next favorite study spot. This café is known for their cold brews, Mexican coffee and fresh paninis, but locals come here to catch up on reading or get some work done. It is conveniently located next to the Brea mall and has plenty of parking. Go here for: game night! Locals gather at this coffee shop for board games, pool, open-mic night and even Dungeons and Dragons. This café is located in the northern part of Fullerton, and has been one of my favorite spots to go to during finals week. The espresso drinks that they serve are a great pick-me-up after a long night of studying. Hot lattes are served with latte art that is so elegant and beautiful that you won’t want to drink it. On the other hand, iced lattes come with espresso ice cubes. Yes, I said “espresso ice cubes”. As the ice cubes melt, your drink gets stronger. Drink it slowly and enjoy. At the Fullerton location, seating inside is limited and outdoor seating isn’t very comfortable. For that reason, this café might not be your next study spot. However, it’s modern décor and patio seating makes it a great place to catch up with a friend or meet with a mentor. Go here for: the lattes. Whether you get it hot or iced, you are in for a treat. There are a lot of coffee shops near the Cal State Fullerton campus, and we certainly did not have time to visit them all. So if we left out your favorite spot, let us know in the comments and we’ll go check it out!